Morning model data indicated a broad area of severe risk, but two specific areas of interest became clear to us. A surface low began to form overnight in northeast Colorado as a result of the upper-level trough moving in from the west. A dryline extended from this low down through southwest Nebraska, eastern Colorado, and the western Panhandle region. Ample moisture on the boundary indicated storms would likely fire from the northern Plains to Mexico. However, deepening of the low throughout the day, as well as the presence of low-level convergence and backing of low-level wind profiles provided by this low led us to choose southwest Nebraska as a target region. It was argued that the central Texas panhandle may provide some organized convection, but the lack of a decent cap over the region indicated that storms would be messy and numerous, which makes them difficult to chase and observe. Combined with the sheer distance from the target our hotel was, this eliminated the Texas panhandle as a target. 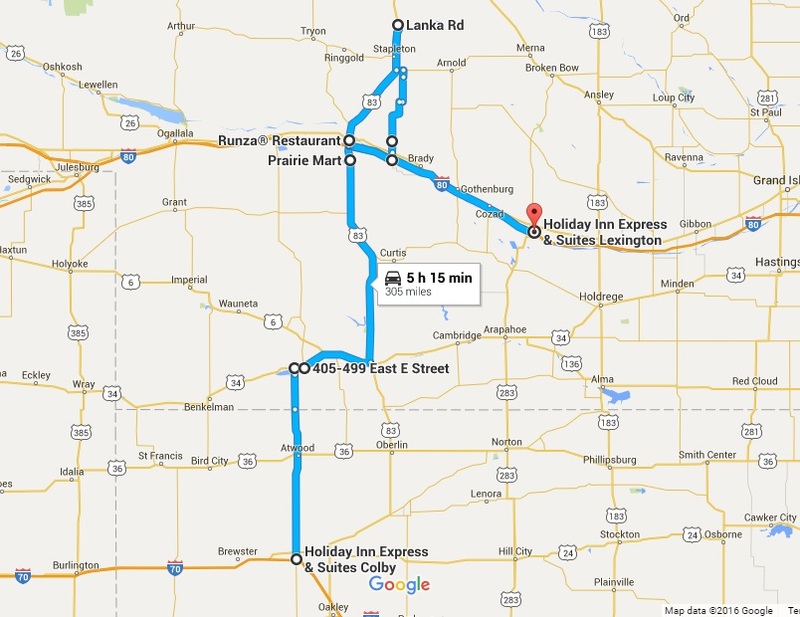 After lunch in Colby, KS, the same city as our hotel was located, we headed north to North Platte, NE. We set up in an initiation holding pattern just south of the city near Lake Malone and waited. Similar to yesterday, initiation took much longer than expected for the given environment. As better shear entered the region, all signs pointed to an explosive day. By 5:50 PM CST, the cap broke and we began chasing the initiated convection northeast. Storms far to our north were much more impressive, but in an area that harbored far worse chasing conditions such as hilly terrain and few side roads. 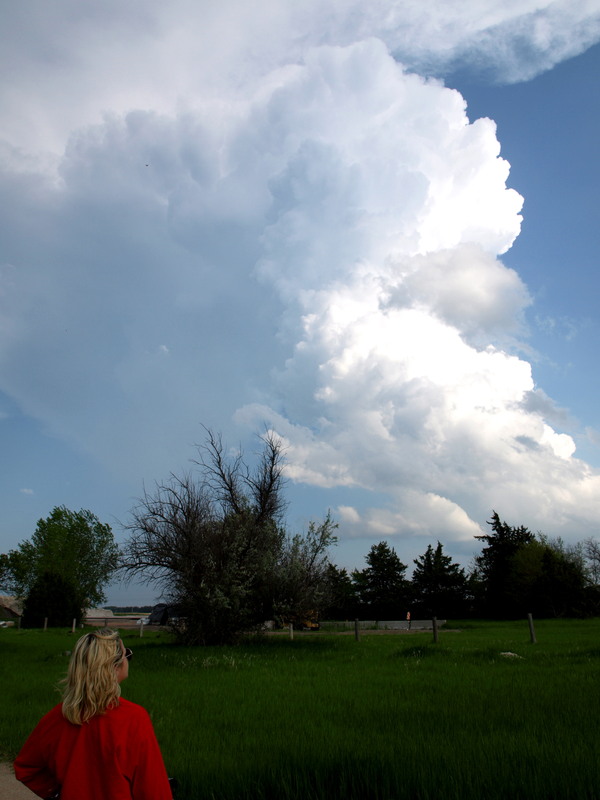 We proceeded to Maxwell, NE to view the storms (Figure 1), which seemed to struggle inexplicably as they moved northeast. After some truly harrowing chasing (and excellent driving) on the sandy back roads of central Nebraska. We cycled through chasing about three cells. By the time we were able to return to pavement, most of the cells had weakened, and one cell to the south seemed more impressive. We turned around and viewed this storm from the side to try and gain an understanding of why the storms the initiated in this environment struggled so much (Figure 2). 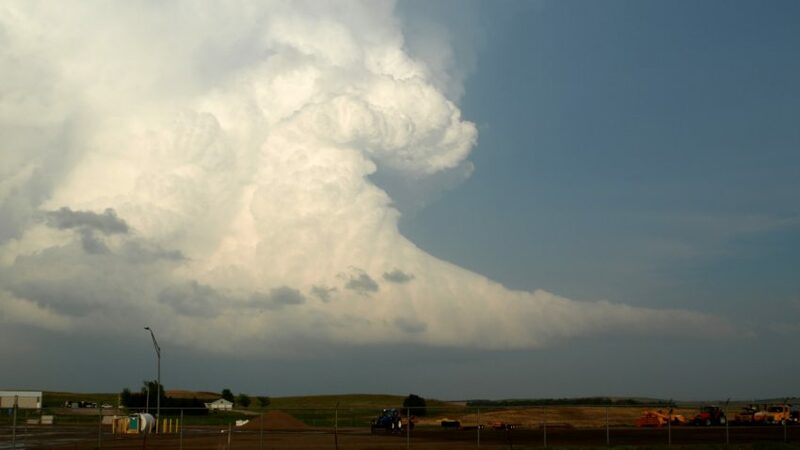 The helical structure of the updraft and the bending back that took place in these cells caused many of the updrafts to quite literally rip off the tops of the storms and kill them. This would usually indicate a high-shear, low-CAPE environment, but CAPE was reaching the 3500 J/kg threshold, which would sustain updrafts even in a higher-shear environment. After some research, we determined that a likely cause was a shortwave trough rotating through the southwest Nebraska region that was visible on water vapor imagery. This trough would have provided sinking air to the target area from above. 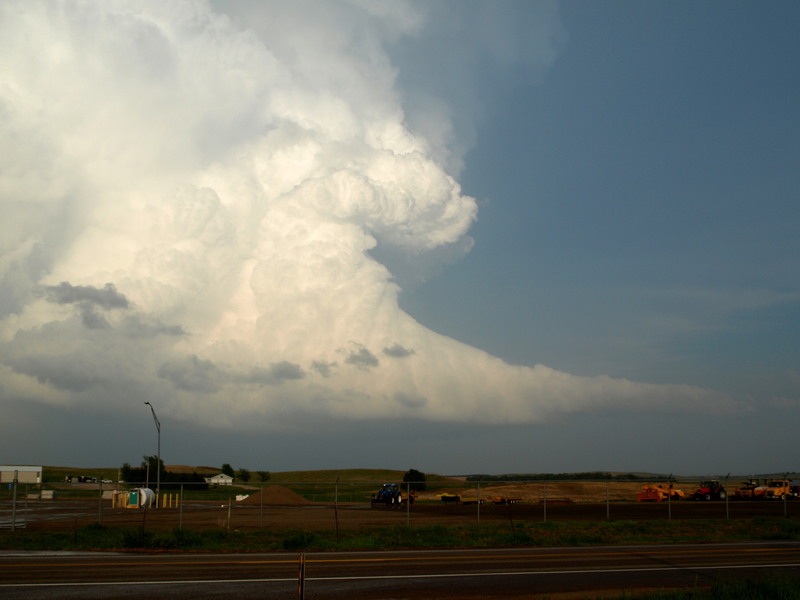 This, combined with impressive instability, caused updrafts to be limited in height and, as a result, these updrafts were forced to bend backwards. 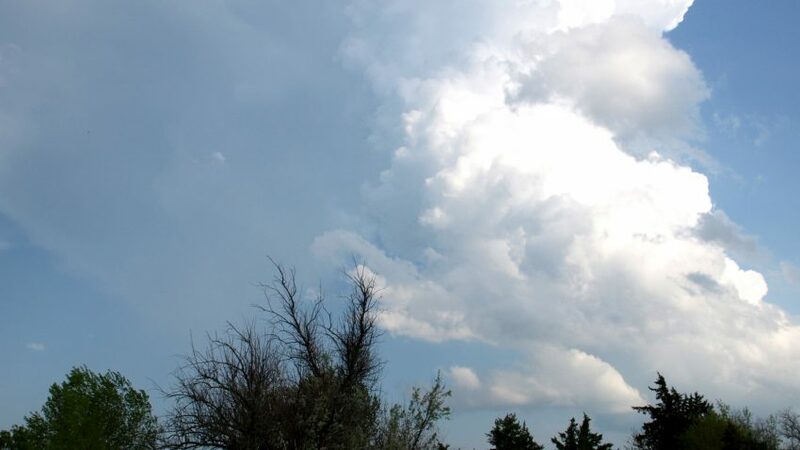 The high shear in these storms then had ample time time twist and distort these updrafts until the were ripped free from their associated thunderstorms. This explanation is speculation, but it does provide a reasonable answer for the lack of HP and sustained rotating supercells. After a nutritious dinner at Runza in North Platte, NE, we headed home for the night in Lexington, NE. We will likely target the Kansas-Oklahoma border tomorrow, as a more classic setup seems to be moving into the region. Click on this link for an interactive chase map! This entry was posted in U.S. Weather and tagged Kansas, nebraska, severe weather, Storm Chase, thunderstorm. Bookmark the permalink.